Apple granted reporter Bill Weir permission to go inside Foxconn's factories to see the working conditions as its products were being made for the 30-minute broadcast. However, initial response to the story was that it revealed hardly anything new about the situation. The Verge put together a list of the most interesting facts from the show, noting that perhaps the most interesting revelation was that a Foxconn executive said the manufacturer would welcome demands from Apple to double pay for its workers. The report also noted that an iPhone takes 141 steps to make, while an iPad takes five days and passes through 325 hands during production. 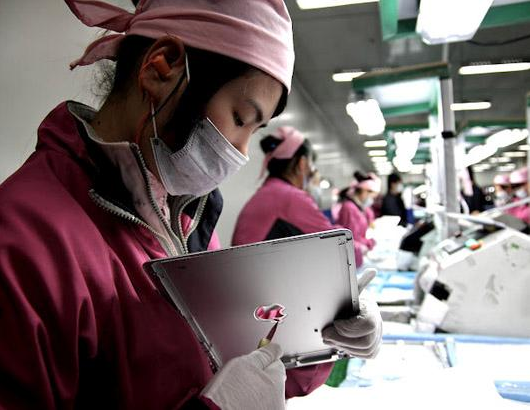 Foxconn manages to produce 300,000 camera modules for the iPad daily. Workers at the manufacturer pay for their own food, roughly $0.70 per meal, and pay $17.50 a month to share a company dorm room with five to seven others. Wages were apparently $1.78 an hour and new workers were required to go through three days of training and "team building" exercises before starting work. Weir also interviewed Fair Labor Association president Auret van Heerden. According to him, Apple paid $250,000 to join the association and is also paying for the audit of Foxconn's facilities. The iPad maker announced last month that it was the first technology company to join the FLA. The association began its first inspections last week, with van Heerden noting that Foxconn's facilities are "first class" and "way above" the norm. Days before the show aired, Nightline and Weir promised viewers a "fascinating look into a hidden corner of our world" through the report. "We will show you how your iPad, your iPhone, your MacBook is made, and we will meet the people who made them," he said in a teaser. "We'll show you how these folks come on buses, sometimes for days, to travel to the Foxconn gates, desperate for a chance to wipe a screen or solder a chip for 10 hours a day at less than $1.50 an hour."